PreCheck, Inc., a healthcare exclusive employment and background screening firm, has reached 25 years of innovation, growth and commitment to advance patient safety and the quality of healthcare. 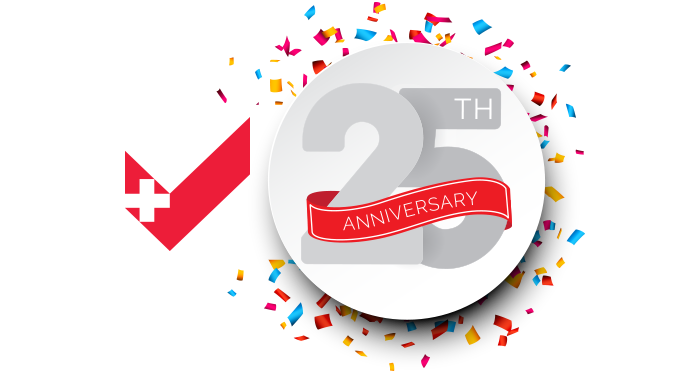 PreCheck, Inc., a background screening and credentialing firm specializing in the healthcare industry, has reached a special milestone as the company celebrates 25 years of delivering award-winning services to its diverse client base. Since 1993, the company has held its promise in providing healthcare human resources, medical staff services, and healthcare compliance leaders the tools they need to make informed hiring decisions, maintain patient safety, and comply with industry standards. PreCheck is led by its original founding executives and has maintained its privately-held ownership through its history. This has allowed the company to control key strategic and business decisions that have ensured a consistent focus on meeting its clients’ needs as the healthcare industry evolves. Over the last 25 years, the company’s suite of solutions has expanded from employment background screening to include other critical compliance and credentialing solutions in response to the industry’s extensive regulations and evolving practices. Today, the company has partnerships with over 4,000 hospitals, long-term care facilities, clinics, and educational institutions across the U.S. and continues to strive to deliver quality, client-focused solutions to meet the industry’s rapidly changing needs.